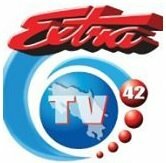 General TV Channel / Free Television from San Jose, Costa Rica, Channel 42, El Canal del Pueblo. Extra daily, commonly known as The Extr, founded in October 1979 in San Jose, Costa Rica, is a newspaper format tabloid newspaper published Monday through Saturday nationwide. He is known for his populist tone and sensationalist style; However, due to censorship laws, it has had to moderate the use of yellow images and even received a lawsuit by the National Children's Patronage for the publication of inappropriate images of minors. According to the researcher Ana C. Sánchez in his book "Caricature and national press", it is a medium that is sold to the proclamation as "the liar", "the gossip" And "exaggerated". According to research carried out by the Information and Knowledge Society Program of the University of Costa Rica, Diario Extra is the least credible medium in Costa Rica. Diario Extra is part of the Extra Group organization, also formed by the newspaper La Prensa Libre , Radio América and ExtraTV42 In September 2012, the founder of Extra, William Gómez Vargas, died.